When I started traveling I learned to build websites off YouTube and Google and began building websites without coding for cafes to make ends meet while traveling. 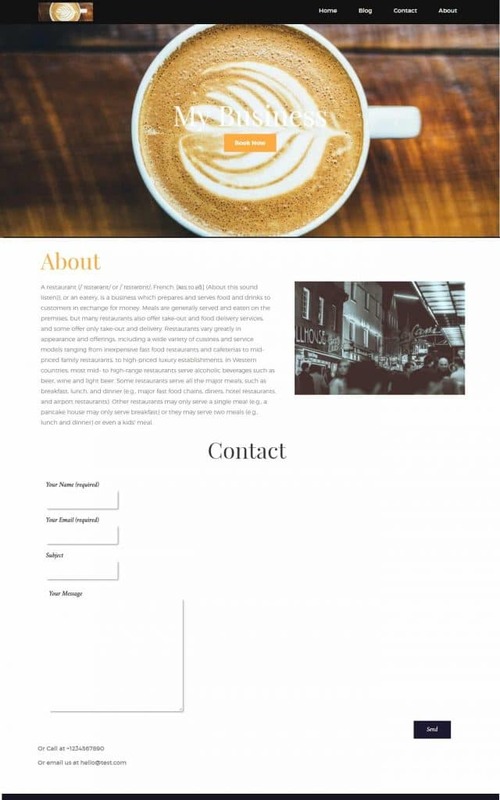 This article will teach you everything you need to know so you can do the same and be able to build basic websites for cafes, hotels and other small businesses. Actual business owners can also use this guide to build your own website without coding. It doesn’t require you to know any code or programming to build a website, just the ability to follow basic steps according to the pictures! I’m not getting into technicalities of building a website, I’m just going to give you actual actionable steps you will need to produce results and build a website. Before you go any further…just want to let you know that, This FREE guide is going to be better than most of the paid courses you will find so be kind and hit share if this guide benefited you, Cheers Jeremy! If you want to start a blog, I have another guide on How To Start A Blog And Make Money with blogging specific information for blogging as this guide is geared more towards small businesses websites. 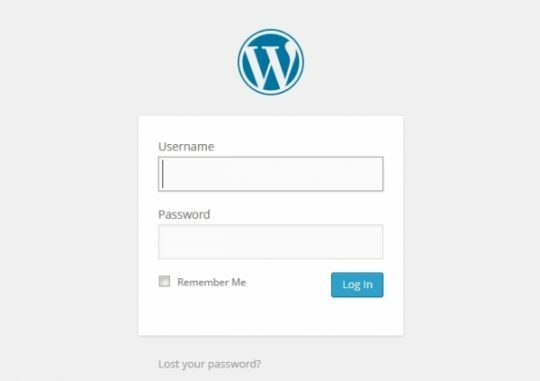 We are going to be using a framework called WordPress in this guide. WordPress powers over 25% of the internet’s websites, hell this website is built without coding using WordPress and even sites like Forbes, BBC etc use them. However I’m not talking about WordPress.com, that’s something different, we are using the open source version of it as we don’t have the freedom to do whatever you want on WordPress.com also if you build a site on WordPress, you don’t own it and they can take it down anytime they feel like it. Seriously, read their terms and conditions. So let’s start out with the parts of a website that you will need. The Domain is the name of the website, eg the name of this site is www.jeremynoronha.com. Normally I would advise buying a domain name like “YourBusiness.com” however if your business is a local business it’s better if you buy a domain like “YourBusiness.co.uk” or “YourBusiness.in” as it’ll help you come up higher in Google Locally. However, if you are planning on marketing your site globally, buy “YourBusiness.com”. If the domain you want is taken, I would recommend adding words like ‘the’ eg ‘TheCoffeShop.co.uk’ instead of ‘CoffeeShop.co.uk’. 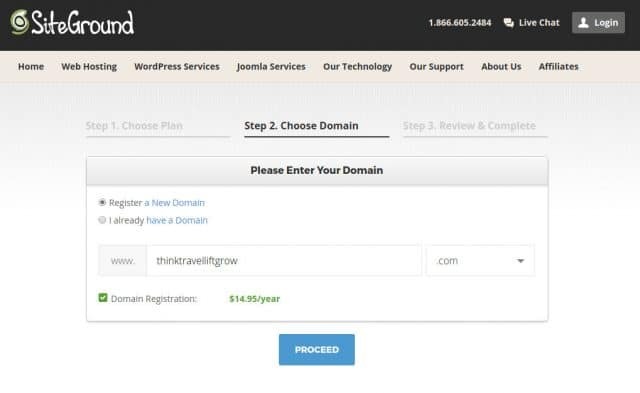 Most domains usually cost around 10-12$ a year. Next, you need a host for your website, if we use the analogy of the Domain being your address, your host is the house where all your website files are stored online. You have to pay for your host, the similar way as you would pay for rent, but don’t worry it costs about the same as a single coffee a month. I’m sure we can all agree that we hate websites that take forever to load! That’s why you need a good host! Also, Google likes fast sites. 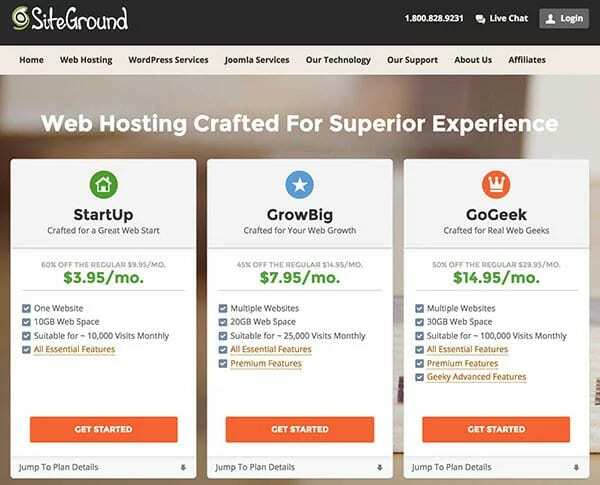 I host all my websites on SiteGround and they are the #1 rated WordPress host on the internet. I can’t praise and recommend them enough! Their customer support is just absolutely amazing and they help you in building the website as you’ll see below so I’ll be using them in this guide on How to build a website without coding! SiteGround has 3 plans, however, I’m just talking about 2 here as you won’t need to use the third one. Startup: This plan is great for someone just getting started and who plans on building only a single website. Thanks to a 60% discount I share below it costs only 3.95$/Month! That’s less than a dollar a week! It’s one of the cheapest in this industry! 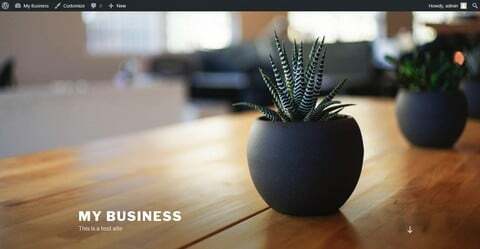 Read my Small Business Web Hosting 2019 Recommendations if you want to know why I’m recommending them in this guide! Now here’s my tip, if you are planning on building multiple websites, you could buy the GrowBig plan and host all of them together. Instead of hosting each of the websites you build on its own StartUp hosting. This is a WIN-WIN as if you run a couple of businesses as you can host all of them without having to pay extra. Next, your Theme is going to be the design and layout of your site! Themes come in 2 types, free and paid and here’s a place where you get what you pay for. Free themes are usually bloated and slow and also can’t be edited easily. Themes usually are just a one-time payment and worth the investment. Here is a list a couple of places where you can good themes, I’m giving a lot of choices, as each person has their own subjective opinion of what is a good design and hopefully these will give you a lot of options. 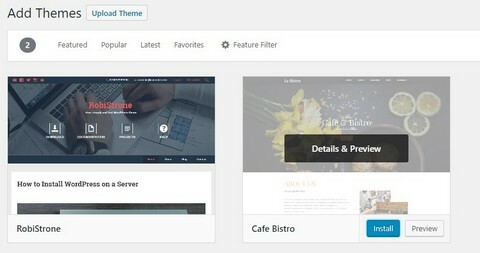 Elegant Themes: Elegant themes is a favorite among many bloggers as it’s an incredible deal of $89/year or $249 one time payment with access to around 88 themes with new ones always being added. 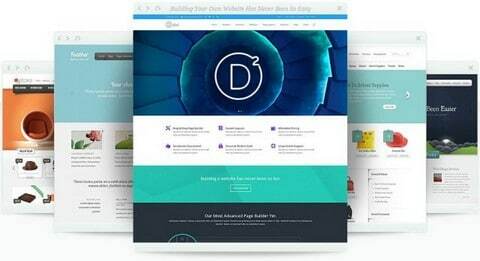 The most popular paid theme in the world Divi is also a part of it. Divi itself is worth more than the price as it’s a drag and drop editor wherein you can build absolutely any kind of website. I would definitely recommend Elegant themes as you get everything you need to build any type of website without touching any code. Use my Elegant Themes Discount code to get 20% off! StudioPress: Some of the fastest and best WordPress themes that I would recommend for a little more advanced users! They’re a little more expensive as compared to Elegant Themes. With themes like AgentPress for real estate agents, Cafe Pro for cafes and so many more incredible choices! I use Aspire for this site. At ~$99 for a theme or $499.95 for all the themes, it’s definitely worth its price for a little more advanced users. Those 2 are the biggest and easiest places to get your themes. I recommend Elegant Themes if you are just starting out, while Studiopress themes for more advanced users. Elegant themes are useful for beginners as support is provided via a forum. You can post a question and within a few hours or so, you’ll have your answer which will be good if you are starting out. Here are a couple of other places where you can shop around for single themes. 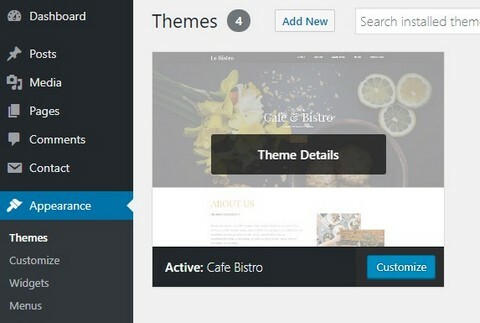 If you are extremely tight on your budget, you can find free themes by googling “Free ‘business’ WordPress themes” and replacing ‘business’ with the type of business you have, eg cafe, hotel etc. However most of the time these themes will be limited in their functions eg. No reservations, hotel bookings etc. I recommend investing in a paid theme. Alright, those are all the major parts of the website that you will need in this guide. Now let’s get into building the actual website. Alright, start out by heading to SiteGround using the link below to get 60% off. Once you are on SiteGround, you will come face to face a couple of options! 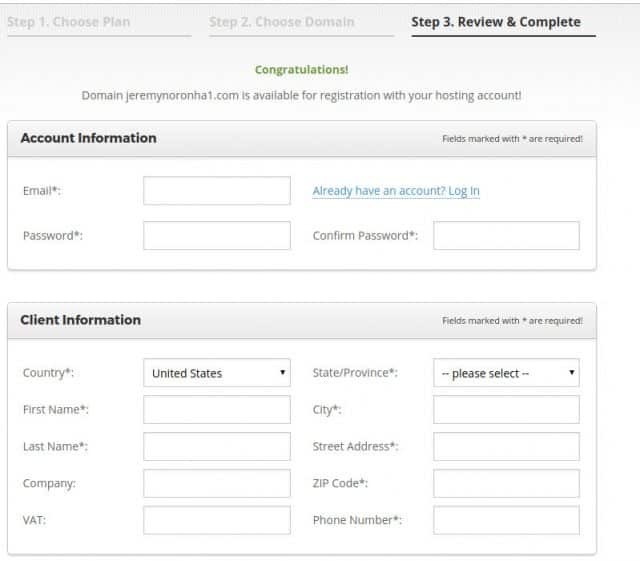 The right plan for you would depend on a lot of factors as I mentioned in the Hosting section. Whichever plan you chose, I recommend getting a 2-year or 3-year plan as the 60% discount is only applicable on your first purchase, this why I recommend buying hosting for 2-3 years will save you money down the line. Click on Get Started below the plan of your choice! Type in your domain name for your business in the box and then click “Proceed” to see if it is available, if it’s not, use the strategy I mentioned in the domain section. If you already own a domain name that you bought from somewhere else and want to use it for your website, click the “I already have a domain” and type your existing domain in the box and then click “Proceed”. Once you’ve chosen a hosting plan and decided on a domain name it is time to enter all of your important information. You can choose how long you would like to pre-pay for SiteGround’s hosting services at the discount rate and can lock in the rate for up to three years. The only downside to this is that you have to pre-pay for all of those years up-front, which might be pricey for a few of you. In addition to choosing the length of your initial contract, you can also choose any extras. You also have the option of adding Domain Privacy and/or SG Site Scanner to your account. Currently, these services cost an additional $12 and $19.80 each per year respectively. I would recommend Domain Privacy, however, SG Site Scanner isn’t necessary. Once you pay the bill, your account will be created! 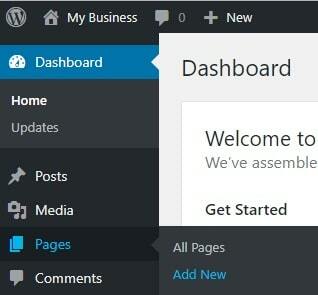 Now we just have to get you set up with WordPress! Now here’s one of the many reasons I recommend SiteGround, I messaged them and asked them if this would work and they gave me a thumbs up! 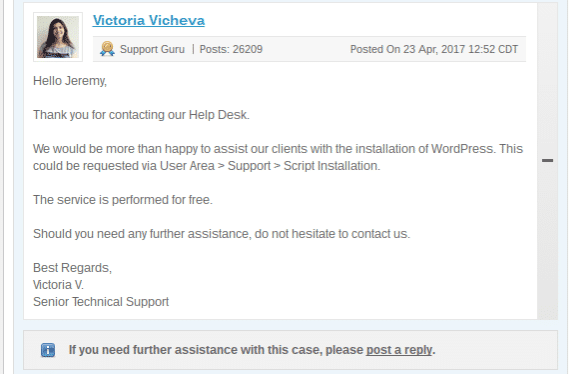 After you buy your hosting using the above link to get the discount, you can request a free setup via the User Area or via contacting a customer support rep through the Live Chat to setup WordPress for you and send you the WordPress login details. Seriously, how cool is that! That won’t take more than a few minutes as you can see from the picture below, SiteGround has one of the faster support I’ve ever dealt with and it’s free! Isn’t that great, head over to SiteGround using the link below to get started if you haven’t already! Note: You can follow this guide on your host even if you don’t use SiteGround. I just used them in this guide as that’s what I use and hence it’s what I recommend. As you guys know I have a strict policy of recommending companies that I love. 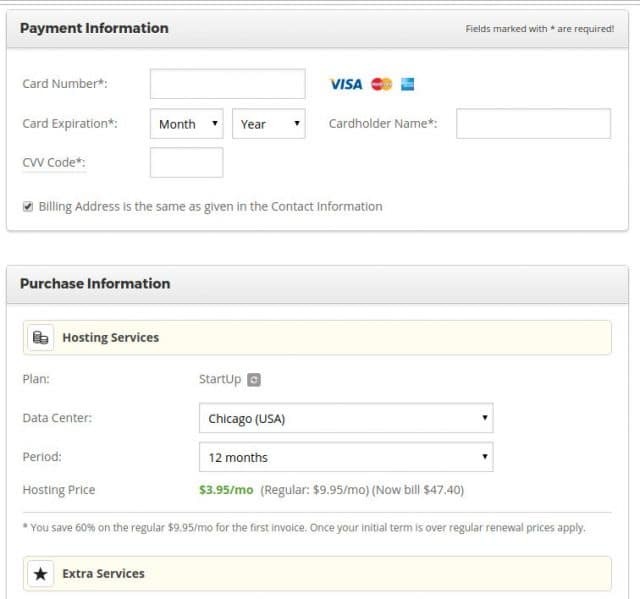 Okay now that you’ve had WordPress installed and got your login details from SiteGround, head on to http://www.yoursite.com/wp-admin (replace “yoursite.com” with your domain name) to bring up the login screen for your site! On this screen, you can change your “Site Title” which is the name of your site and also the subtitle, known as your “Tagline”. Enter whatever you want in these two boxes and then scroll to the bottom and click the “Save Changes” button. Once you save these changes they will immediately be live on your site. To see what your site looks like at any time you can just type your domain name in the browser and hit enter. If you do everything right it should look something like this. It’s pretty basic and we now have to set everything up. Before we continue, let’s clear all the bloat and extra pre-installed stuff before continuing. 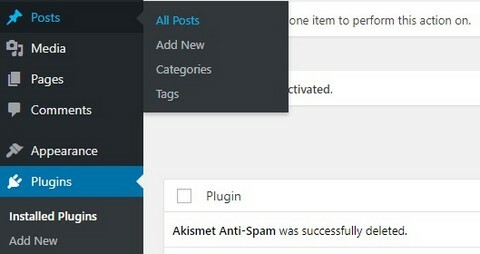 Go to “Installed Plugin” under “Plugins” in the WordPress Dashboard. then select “Deactivate” from bulk actions and click ‘Apply’, then repeat it all again and select “Delete” this time. After that Go to “All Post” under “Posts” in the DashBoard. “Trash” the post. Do the same for “Pages”. Alright, now that we have gotten rid of all the bloat, let me show you how you can add content to your website! You should now be on the page creator screen. 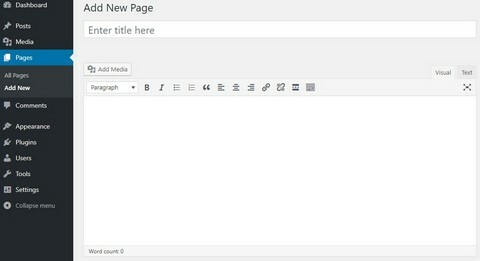 You can enter the title of your page in the top box and then begin writing your post in the lower box. If you would like to add a picture to your page, click on the “Add Media” button and click “Select Files” to upload a picture from your computer. You can make adjustments to the picture size and alignment on the next screen. When you are all set click “Insert” to add the picture. Once you have finished your page just click the “Publish” button on the right side of the screen to publish it. Now you know how to add more pages and content to your site. Before we continue customizing and designing, here are a couple of plugins I would recommend you install. You won’t necessarily need all of them, based on your theme but here are the basic plugins I would recommend. AutoOptimize: This plugin helps speed up your site. ContactForm7: A form that lets people contact you through your website. Insert Headers and Footers: This lets you easily insert code into your site, we’ll use this later. Monarch: Monarch is an amazing social sharing plugin which is a part of the elegant theme membership if you are using Elegant Themes. Simple Share Buttons Adder is a free alternative. 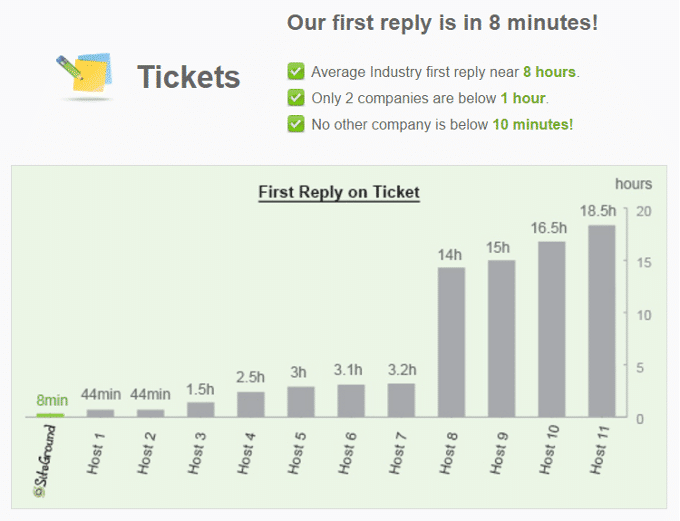 WP Rocket: A plugin to help speed up your site. I will show you how to use this in my WordPress Speed guide. WP Optimizer: This plugin helps clean up the extra bloat in your database. WordPress SEO by Yoast: A basic plugin that will help you with SEO ie coming up on Google search results. This post here will help you set up Yoast. Plugins are kind of the equivalent of apps or programs on your phone. 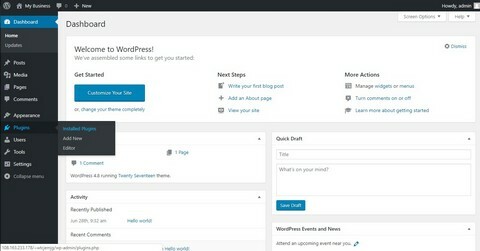 There’s a plugin available that can add almost any functionality to your website, from social sharing to testimonials. You can just Google “‘Purpose’ Plugin” with your objective in the place of ‘Purpose’ and you will probably find a plugin that does what you want. Pick your “Theme” by using the advice from my Theme section. 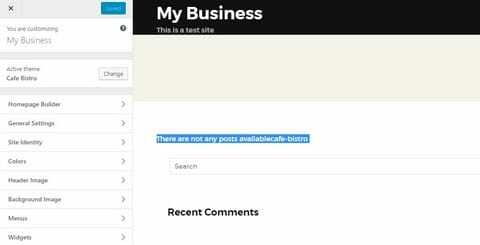 I’ll be using the ‘Bistro’ theme in this guide where I’ll build a basic cafe website. After that head back to ‘Themes” and click “Activate” on the Theme you installed. Now go to your site and check it out. Your site will depend on the theme you use! Things will look very different depending on the theme you use. The theme you buy will give you a support file with instructions on how to edit it! 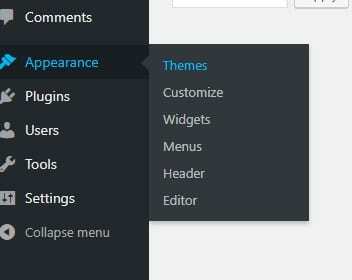 Most themes will be edited by clicking the customize button. Each theme will have it’s own options when you get to this screen. If you are using an Elegant Theme you will have Divi Builder, a plugin that will make all of this incredibly easy as you can design your entire site by dragging and dropping the components you want. Want a slideshow? Just drag and drop it! Elegant Themes does a great job explaining how to use them hence I won’t do it here. However, if you use most themes you will have an editor like this. Each theme comes with “documentation” which is basically a how-to pdf explains how to use it. If you can’t find yours just Google “Theme Name” Documentation. For my theme, I’m going to be enabling all of the homepage setting now and replacing it with my content. I used stock images for this site. Here are a few sites where you can get free stock images: Pexels, Unsplash, Pixabay, and StockSnap. For my particular theme, I had to make a new page, change the template on the right to “Front page”. Some themes will have this as “home” And then in Customize I had to pick this page as the “Static Front Page”. I also made another page named “Contact” and inserted a form using the ContactForm7 into the page. Following the instructions in my documentation, I ended up with this website after 5-10 mins. Pretty basic. Now using additional plugins like Reservations etc I can add more features like a reservation system or a hotel booking system or whatever. If I was building a hotel website I would just Google “Best hotel reservation WordPress plugin” and then use it. Using this strategy you can build basically any type of small business website. From a real estate site to a cafe website without any coding. Google can answer any questions you have, and with Youtube, it just makes it even easier. Now Let’s make a list of a few marketing basics that you should implement for your website. Facebook: Make sure you make a Facebook page for your business and add the website. Tripadvisor: If your business is local to an area make sure to add it on Tripadvisor. Google Maps and Search Engine Console: Be sure to submit your location on Google Maps as well as submit your sitemap to Google. Guide to add your site to Search Console. Hope this guide on How to build a website without coding is useful for you! All the best freelancing for businesses or building websites for your business. However, if you just went through this whole article, take a short break, have a coffee and then go out and start building websites! Have more questions? Isn’t something clear? Write it down here in the comments, and I’ll make sure to clear things up. seemed like a designer is crafting my skills. I will try to soon work for it and maybe earn some bucks too.